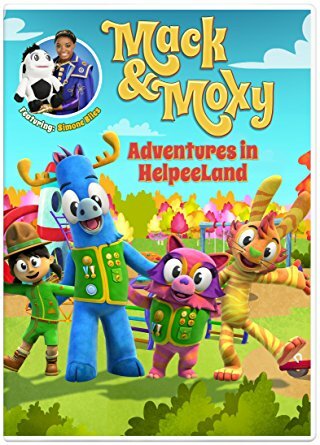 This DVD has a beautiful way of explaining and expressing important ways of helping children understand some of life’s complicated issues. 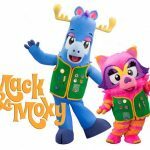 Friendship, honesty, tolerance, patience, healthy eating habits, dancing, singing, playing together, solving conflicts and working together are not alway s easy for children to understand and the Mack & Moxy series really helps parents instill good values in their children and helps parents find ways to teach these qualities to their children in a playful, colorful yet firm way. A must for all parents! 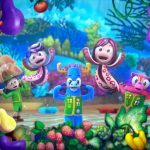 The topic s discussed, the music, the lyrics, the funny and unusual characters, and the vibrant colors are all spot on and will all appeal to children. Each story has a great topic and the characters are lively, honest, funny, believable and colorful. Each segment concentrates on a powerful message to help young children understand. The songs emphasize the message and make a great addition at the end of each segment. Having the words written on the screen also helps parents relay the words. The material in each segment is very relevant and is very easy for children to follow. Subjects such as honesty, proper car seats for children of different ages, healthy eating, friendship, cooperation, team work, understanding children with autism, respect and organized games at recess time, are all introduced. At the end of each segment a mention of where to find more information is listed. The vocabulary is age-appropriate and the subject matter is very relevant. The songs are so lively and sing-able. The theme song which is sung throughout the DVD whenever the team is ready to go out on their mission, ‘Here We Go, Na Na Na, Off to Healthyland’ is great. I found myself singing to it too! The animation is fantastic. The colors are so bright and rich for each of the characters and each of the Great Helpees hatched is a different color! The songs are upbeat and uplifting! Having the words written on the screen helps adults learn the songs. The settings for each of the segments has lots of imagination built in and also has awesome colors. Each of the characters has their own unique costume and name. 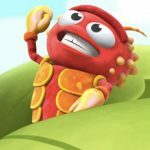 Shellfish Sheldon is a red lobster, Clicks the robot, Pa tches the tiger, Little Bird is Autistic as well as Trooper Charlie, who dances very well, and so many others. Disney’s animated classic takes on a new form, with a widened mythology and an all-star cast. A young prince, imprisoned in the form of a beast, can be freed only by true love. What may be his only opportunity arrives when he meets Belle, the only human girl to ever visit the castle since it was enchanted. KIDS FIRST! Film Critic Maria G. comments, “. This live action film has made my “Top 10 List” due to its incredible singing performances, marvelous set designs and accuracy of the original Disney story. 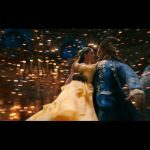 As a Disney fanatic, I absolutely love that this film has the power to take me back to my younger days.” Gerry O. adds, “It has been 26 years since Disney released the animated film, Beauty and the Beast. Now, we have a remake with a slightly updated story, stunning visual effects, beautiful acting and an epic soundtrack. 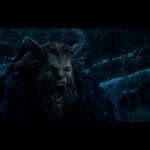 Here is another attempt to convert an animated film into a live action film.” Ryan R., sums it up with, “I was enchanted as I watched Disney’s live-action remake of the 1991 animated classic, Beauty and the Beast. 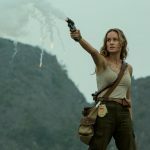 This film is different enough and certainly strong enough to stand on its own, and much better than the remake of Cinderella.” See their full reviews below. Beauty and the Beast, directed by Bill Condon is a whimsical yet captivating film that I highly adored watching. This live action film has made my “Top 10 List” due to its incredible singing performances, marvelous set designs and accuracy of the original Disney story. As a Disney fanatic, I absolutely love that this film has the power to take me back to my younger days. Daughter of a wise and humble merchant (Kevin Kline), Belle (Emma Watson) is a bright and independent young lady who will be taken as a prisoner by a monstrous beast (Dan Stevens) in place of her elderly, caring father. As prisoner of the Beast in his cold dark castle, Belle soon builds a strong bond with the talking enchanted objects of the castle. Who will help break the lasting “forever curse” by bringing the Beast and Belle closer? 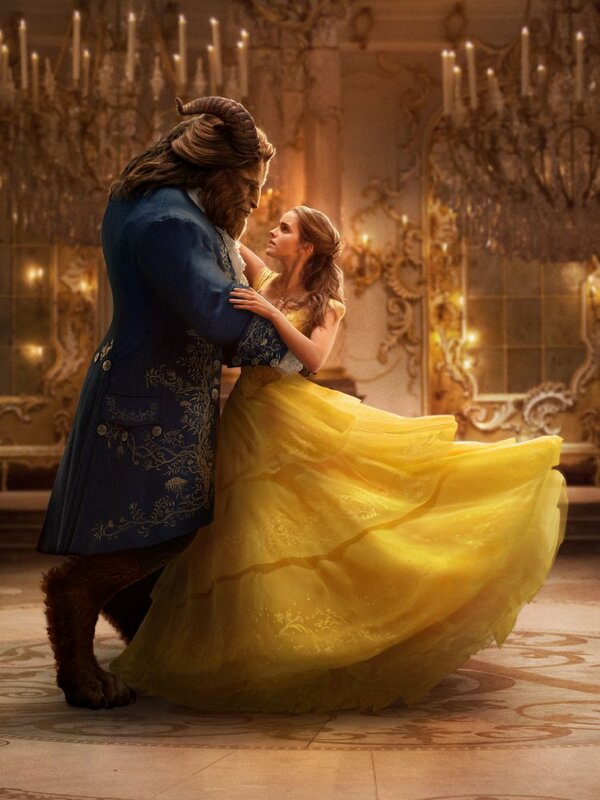 Belle learns to look past the frightening physical appearance of the Beast and looks upon his caring gentle soul. But, will this be enough to break the lasting forever curse upon the castle and the Beast? 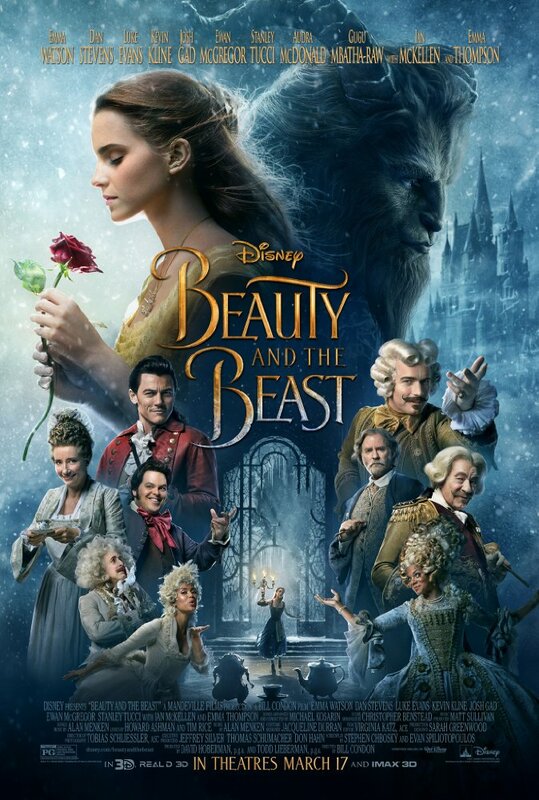 Incorporated as a live action film from Disney’s original animated film, Beauty and the Beast, the whole cast delivers exquisite performances portraying each unique and iconic character. The caring, yet brave Belle is played by the talented actress Emma Watson. Watson has appeared in numerous films including the Harry Potter films, My Week with Marilyn and The Perks of Being a Wallflower. Dan Stevens, known from Legion TV Series deftly portrays the terrifying Beast, a difficult character to play due to its temper. From the songs, to the set designs, this film has it all. I truly appreciate and love that they took the 1991 Disney classic and turned it into a live action film. This is something that has not been seen before and was well directed by Bill Condon (Mr. Holmes, The Twilight Saga: Breaking Dawn – Part 1 and 2, Dreamgirls). Being a huge Disney princess fan, I am highly pleased with the accuracy of this live action version. The costumes, songs, characters and plot are all very accurate. It made me feel as if I was in a Disney story book. 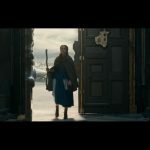 One of favorite things about this film and the story of Beauty and the Beast itself, is the message it depicts – that of looking past the physical and looking within. This is a moral that every viewer can learn from. The film is very successful in massaging this message and the audience will easily relate to the moral as the film unfolds before their eyes. This enchanted, unbelievable film deserves 5 out of 5. I highly recommend it to families, young children and Disney fanatics. Kids and adults both will enjoy watching it and singing along with the iconic songs. You can catch Beauty and the Beast when it opens nationwide on March 17, 2017. It has been 26 years since Disney released the animated film, Beauty and the Beast. Now, we have a remake with a slightly updated story, stunning visual effects, beautiful acting and an epic soundtrack. Here is another attempt to convert an animated film into a live action film. The classic fairy tale of Beauty and the Beast is predominantly a romance and, just like the original animated film, this one also has a strong comedic take with lots of funny scenes. There are also a hand full of scenes that are quite the opposite. These are filled with heart-wrenching drama that make you either hate or love the characters and get sucked into the story. Beauty and the Beast (2017) is pretty much a carbon copy of the 1991 animated film. Belle is a beautiful but smart village girl who goes into the woods after her father goes missing. She discovers a cursed castle full of inanimate objects brought to life and a hateful prince turned into Beast. The Beast has locked up her father and she takes her father’s place, being sentenced by the monster to live in the castle with him forever. The Beast’s curse can be removed though. All he needs to do is to fall in love with someone and that person needs to love them back. The Beast and Belle start falling in love in what seems an impossible romance at first. There are challenges, as Belle still feels she is a prisoner and the townspeople think the Beast is a monster that needs to be destroyed. The previous Disney live-action remake was the classic Cinderella (2015). It suffered from the same problem as this one – the fact that an animated film is different from a live action film. The story, musical numbers and character interaction all feel much more real in a live action film, which causes fantasy love stories to lack credibility. Cinderella suffered from this problem and Beauty and the Beast is also affected by this challenge. However, its creators did a much better attempt at addressing the issue. Instead of simply taking a story and using a camera instead of a drawing pencil, the writers incorporated more intricacies to the plot than were in the 1991 version. There are back stories about the characters which enhanced and refined their personalities and made the plot richer. This allows for a film that isn’t just a spin off on a 25-year-old animated film, but a truly enjoyable story on its own. The film’s quality is superb and the acting is a big plus. 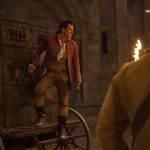 Two actors who stand out the most are Luke Evans (Gaston) and Josh Gad (Lefou). They are absolutely spectacular together and Disney generously incorporates some changes to Lefou from 1991, which shows him being slightly in love with Gaston. This change adds a lot of fun and silly moments. Emma Watson (Belle) also delivers a stupendous performance as Belle, although the my favorite Belle is that played by Paige O’Hara. Emma Watson’s Belle doesn’t seem like a main character, but more of a supporting one. There is no strong presence as we saw in the 1991 version where Paige’s performance makes it apparent that Belle is the star along with the Beast. The rest of the cast performs wonderfully and bring the characters to life, with some slight changes to keep the film fresh and new. The film’s two strongest points are more technical. The cinematography and special effects are outstanding. The Beast looks very real and has immense detail, from his facial expressions, to his fur. The castle, magical servants and landscape are the pure definition of eye candy, and are the most beautiful parts of this film. This integrates perfectly with unique and spectacular cinematography that really does the film version justice. Another part that I commend the sound designers and mixers for is the music. The entire soundtrack plays impeccably with every scene and the musical numbers are extraordinary. Out of all the wonderful cinematics and special effects, I would choose one musical number as my favorite scene – the Gaston number. In this scene, Lefou sings a song and gets the entire village to join in – about how great Gaston is. Not only does the song come out as entertaining, but the scene has fantastic visuals by everyone participating and truly brings justice to the scene. I prefer this version of the song over the original, which doesn’t happen often with the remakes. In general, this film, from its comedy, to its story, is meant for kids. This doesn’t mean adults won’t enjoy it. 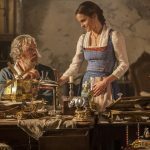 The nostalgia alone makes Beauty and the Beast an entertaining film and, dozens of times in the film, there are small references that adults can truly appreciate and enjoy. I recommend this film for ages 6 to 18 and believe adults will enjoy it as well. 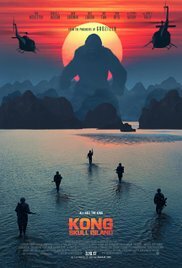 I give it 4.5 out of 5 stars because it does outdo any other film this year in visuals, acting, music, cinematography and plot, but has some weak acting and still feels a bit like a forced conversion from animation to live action. Disney has done it again! 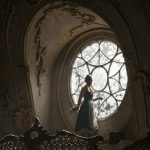 I was enchanted as I watched Disney’s live-action remake of the 1991 animated classic, Beauty and the Beast. This film is different enough and certainly strong enough to stand on its own, and much better than the remake of Cinderella. Meet Belle (Emma Watson), who is a young woman who loves to read. She feels different because no one in her village knows how to read. They choose not to and treat her as if she is the oddball because of it. All she wants is an adventure. One day, her father, Maurice (Kevin Kline), gets taken and imprisoned by the Beast (Dan Stevens) in his remote castle. Belle searches for her father and finds him. To free her father, she exchanges her freedom for his and stays in the castle with the Beast. She starts to befriend everyone in the castle and she begins to develop a friendship with the Beast. If you want to know what else happens, you should go see the movie. I enjoyed this movie because as soon as you see Emma Watson in action, you are enchanted by how she brings Belle to life. Her portrayal of the Disney princess, Belle, is perfect. I have never seen Ms. Watson sing before, and she sings considerably well. Dan Stevens is hilarious as the grumpy Beast. The CGIs are outstanding, especially the Beast. It is incredible how he transforms. I also like how they designed all the talking objects. 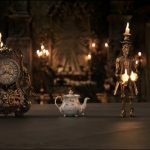 Lumière, the candelabra (voiced by Ewan McGregor), Cogsworth, the pendulum clock (Ian McKellen) and Garderobe, the wardrobe (Audra McDonald) all look like real talking objects and are very comedic. On another note, the soundtrack is beautiful. 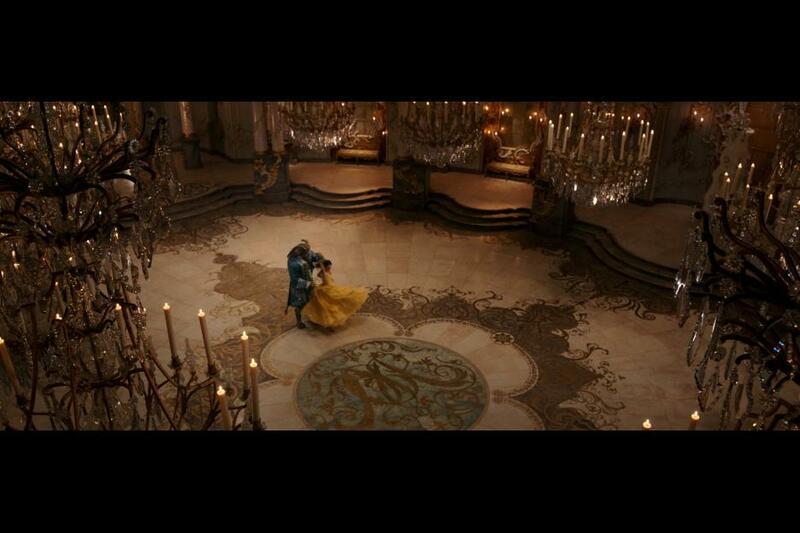 I love the song, Beauty and the Beast by Ariana Grande and John Legend. The only things I don’t like about this movie are the few scary scenes. Because of them, I don’t recommend this to younger kids. Some other scenes are a bit dark also. This is a know-your-kid kind of movie. Something interesting I want to point out is that one of the characters is gay (although if your blink you might miss the quick reference) and I like that Disney is trying to add more diversity in their films. I give this film 5 out of 5 stars. I recommend this to the a ges 8 to 18 and I think adults might like it as well. I recommend this to people who like action, adventure, adaptations, family and Disney movies. Make sure to see Beauty and The Beast which comes out in theaters nationwide on Friday, March 17. This is definitely a must see and you won’t regret watching at the theater. Tom Hiddleston as James Conrad heroically represents a soldier. Brie L arson as Mason Weaver is very impressive as a bold photographer. 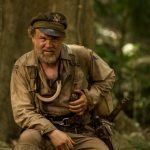 John C Reilly as Hank Marlow, a war veteran, is my favorite character in the movie due to his comic relief and interesting backstory. Samuel L Jackson as Preston Packard brilliantly expresses his revenge with his angry facial expressions. This collection of stori es features Mily and her friends as they investigate major life questions. Mily is a funny, curious and uncertain little 9-year-old girl. Like many children her age , she has a great many questions about life, people and the world. She’s never lost for words. Whenever a particular situation raises a question, Mily is immediately on the case! 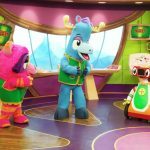 From one episode to the next, through everyday situations and without ever favoring a particular point of view, Mily introduces young viewers to the art of questioning and developing an inquiring mind. KIDS FIRST! Juror Rachael V. (Adult) comments, “This program is so adorable! It’s about an all too curious young girl who has all sorts of fun questions. I remember when my older children had non-stop questions and this show really portrays that well. It’s also really good about getting her questions answered. The animation is well done. I recommend the show for ages 5 to 11 and give it 5 out of 5 stars.” Juror Tina B. (Adult) adds, “I found it quite interesting. The stories are thought-p rovoking and the themes are relative to children as well as adults. The various themes include decision making, choices in jobs, rules vs. laws and ‘telling the truth and teaching responsibility”. I rate it 5 out of 5 stars and recommend it for ages 5 to 12. KIDS FIRST! Film Critic Dariana A. (age 11) adds, “My favorite story on the DVD is the first one because the question asked is one I would have wondered at that age. It is about where we are before we reach our mother’s belly.” Carla P. (age 12) wraps it up with, “I like this series because it teaches children to ask questions of things they are curious about. 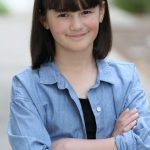 The lead character, Mily is a girl who asks everyone questions about a variety of stuff, typical things that kids are thinking and about everyday situations. It helps get kids thinking about things that peo ple don’t usually think of.” See the KIDS FIRST! Film Critics full reviews below. 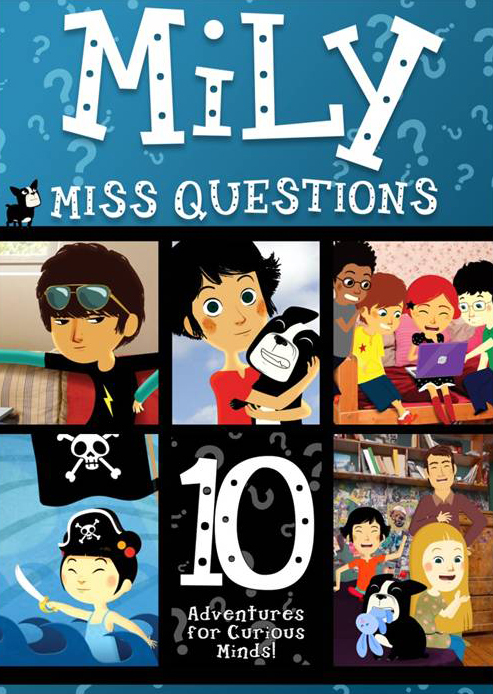 Mily Miss Questions: 10 Adventures For Curious Minds! is a collection of stories that are educational and teach lessons such as how to be responsible. Mily asks a lot of questions that most childr en Mily’s age are aware of, yet she leaves a lot of open questions without an explanation. 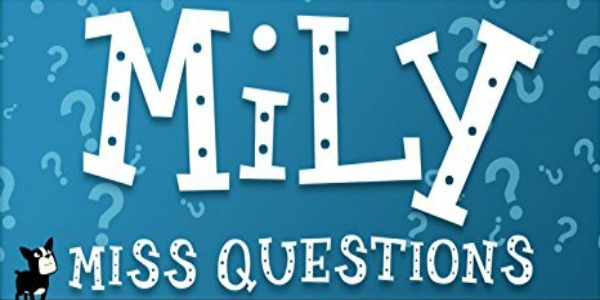 Mily and her friends ask questions and find out the answers to them together. Each episode has a different plot, but the thing that all the stories have in common is that they all contain a question that Mily answers. When she answers, she gives a variety of options, making you have to choose your preference. The message of this show is to ask questions when you wonder about things. 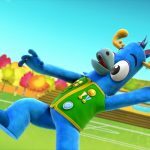 It teaches kids to ask questions even if they seem dumb. If someone doesn’t know something, they have the right to ask. No one should be judged for asking. It also teaches kids to be creative. In one of the episodes, Mily gets bored and doesn’t know what to do. Her friends come up with ideas to keep her from not being bored. They get creative and make games. Something interesting is that the show is diverse, having character of different ethnicities. An Extraordinary Movie With A Message About Living Life To The Fullest. What if you ha d only one day to change absolutely everything? Samantha Kingston has it all: the perfect friends, the perfect guy, and a seemingly perfect future. Then, everything changes. After one fateful night, Sam wakes up with no future at all. Trapped reliving the same day over and over she begins to question just how perfect her life really was. And as she begins to untangle the mystery of a life suddenly derailed, she must also unwind the secrets of the people closest to her, and discover the power of a single day to make a difference, not just in her own life, but in the lives of those around her – before she runs out of time for good. KIDS FIRST! Film Critic Kamhai B. comments, “The film’s message is to live life to the fullest today because tomorrow isn’t promised. This movie offers lessons about understanding others and how to work with them.” See his full review below. 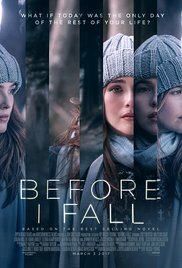 This is an extraordinary movie about a girl named Samantha Kingston (Zoey Deutch) who gets stuck in the same day over and over. She learns to live life to the fullest. I like this movie because it gives a little peak into the life of a teenager. I also think the actors are especially amazing. They say the same lines over and over, just to make it seem like the day is repeating. It must have been tiring to do that. I was particularly impressed by the work of the special effects team. I especially enjoyed the forest scene when they add smoke to make the suicide scene look scary and intense. 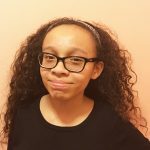 Teens can relate to other teens who might feel as if their day is repeating and, no matter what they do, it is almost as if they’re stuck in the same day. This film is really suitable for young adolescents and I strongly recommend that, before you watch this movie, you be prepared for scenes that are heart breaking. The film’s message is to live life to the fullest today because tomorrow isn’t promised. This movie offers lessons about understanding others and how to work with them. There is a lot of mild profanity and very inappropriate, scary and heartbreaking scenes. For instance, when Juliet Skies (Elena Kampouris) thinks about committing suicide, she runs into the street and is hit by a car. Right as she is hit, the image of her getting knocked out by a truck never leaves your head. It’s so terrifying to see this happen. I recommend this film for ages 15 to 18 because of the mild profanity. I give this movie 5 out of 5 stars because it has a lot of good qualities such as great acting, phenomenal characters and the ability to get you very attached to the movie. This film opens in theaters nationwide on March 3, 2017 so, be sure to check it out. 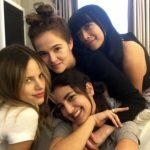 Posted in Feature Film Reviews | Comments Off on An Extraordinary Movie With A Message About Living Life To The Fullest. You are currently browsing the KIDS FIRST! News weblog archives for March, 2017.